« See, SportsCenter Is Good For You! As a preacher-type, this hits really close to home. 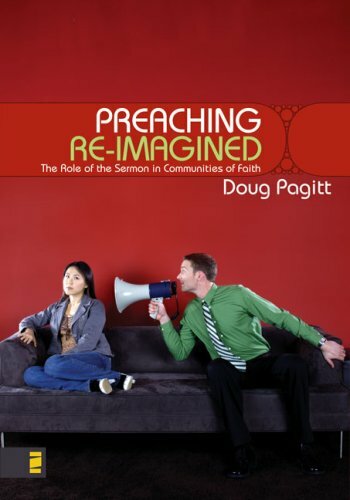 I’ve struggled for awhile with tying together the notion of the priesthood of all believers with the role of preaching. Certainly, a vocational pastor will have time to devote to exegesis, study and meditation on Scripture that others do not. Hopefully, prayerfully, this hard work will translate God’s voice to, in and for a particular community. However, I would love to see a more active, participatory engagement of Scripture from our entire community. I don’t know if we’d approach this in quite the way Solomon’s Porch does, but Doug’s thoughts here are a great jumping off point. I haven’t really participated in a meme before, but I am really interested in discovering what is on the bookshelf of Sam, Rich, David, Wayne and Dan.